Along with viewing film footage captured that fateful day, you will walk in the footsteps of Gen. Douglas MacArthur on the USS Battleship Missouri (Mighty Mo) and see remains of a Japanese A6M2 Zero that was part of the Pearl Harbor attack. Accessible only by boat, the USS Arizona Memorial serves as a place of reflection as the final resting place for the more than 1,000 crewmen who lost their lives during the attack. 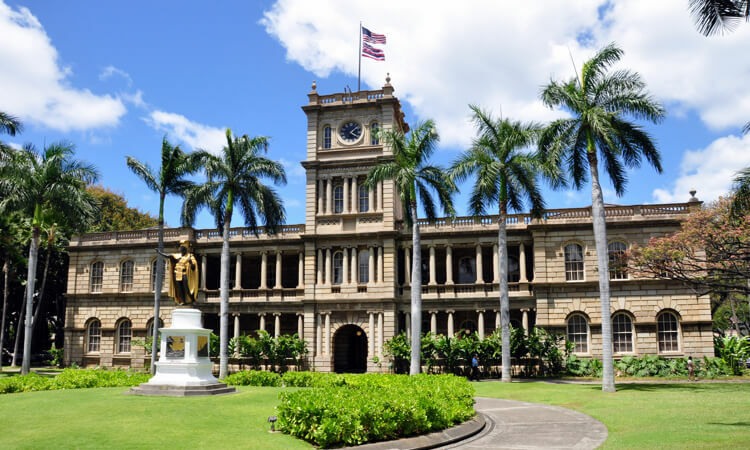 The tour culminates in a narrated drive through the National Cemetery of the Pacific at Punchbowl, Iolani Palace, Kawaiahao Church, Hawaii State Capitol Grounds and Honolulu City Hall. Cameras are permitted but not camera bags. – Strollers are not allowed in a movie theater, on Navy shuttle boat to the USS Arizona Memorial, or on the USS Arizona Memorial. Guests staying at The Kahala Hotel & Resort are subject to an additional $25.00 per person transportation fee. Minimum 2 passengers. USS Arizona Memorial Audio Tour, USS Bowfin Submarine Museum & Park Audio Tour, Battleship Missouri Memorial Guided Tour, and Pacific Aviation Museum Audio Tour are included. Pearl Harbor Audio Tour includes audio in Japanese, Korean, Mandarin, German, French and Spanish. 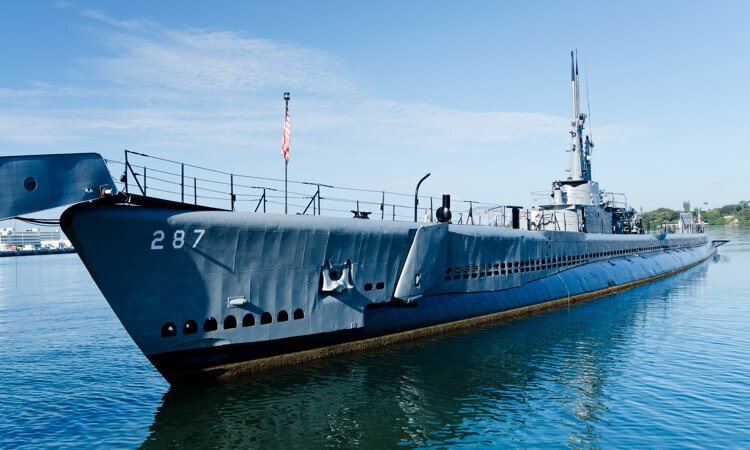 USS Bowfin Submarine Museum & Park Audio Tour includes languages in Japanese, Korean and Mandarin. Pacific Aviation Museum Audio tour includes languages in English, Spanish, Japanese, Korean, Cantonese, and Mandarin. For most products, reservations may be canceled free of charge up to 48 hours prior to your scheduled tour service for a full refund. No-shows and cancellations less than 48 hours in advance are non-refundable. There will be no refunds for cancellations or no-shows that include airfare like One Day Tours. All admissions are included in ticket price. Comfortable transportation provided from Waikiki/Ala Moana Hotels by experienced drivers/tour guides. 15% savings when you book online! Cameras are permitted but not camera bags. Strollers are not allowed in a movie theater, on Navy shuttle boat to the USS Arizona Memorial, or on the USS Arizona Memorial. Locations/routes and times may be modified or restricted due to the national park and state park advisories. “Stars & Stripes” is a fitting name for this emotionally resonating expedition that explores the legacy of Pearl Harbor and its profound impact on world history. 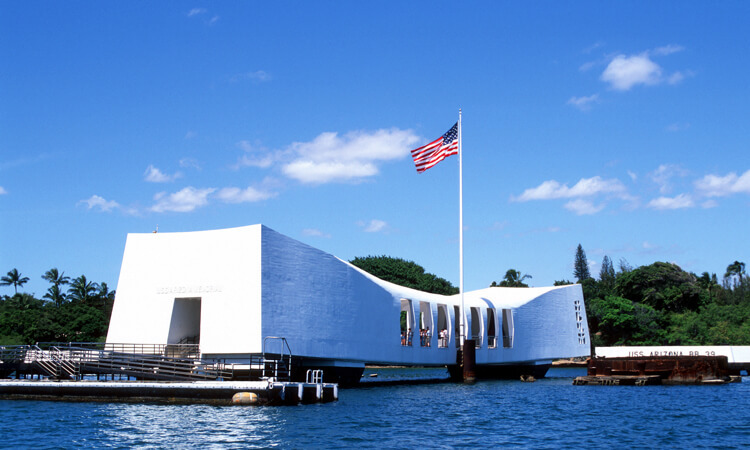 Visit the USS Arizona Memorial, the USS Missouri Battleship, and more. 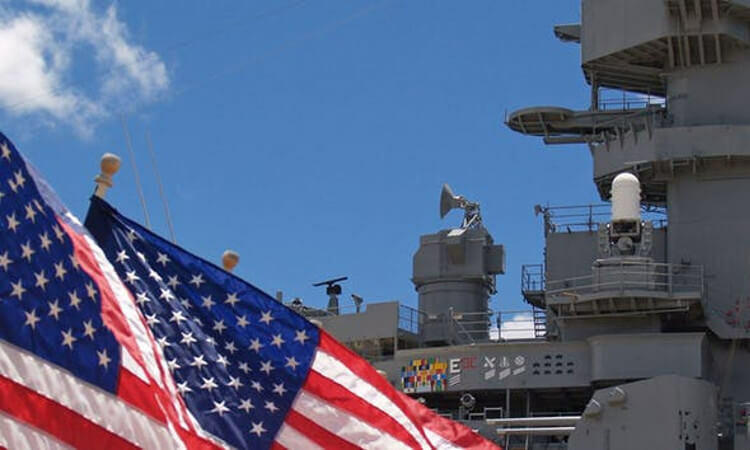 “Stars & Stripes” is a fitting name for this emotionally resonating expedition that explores the legacy of Pearl Harbor and its profound impact on world history.Visit the USS Arizona Memorial, the USS Missouri Battleship, and more.